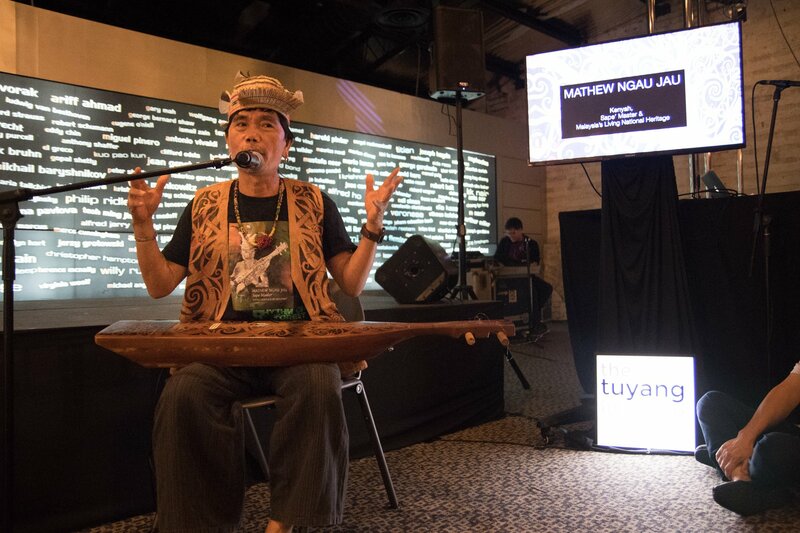 Learn to play the traditional lute-like instrument of the Kenyah people and discover their culture with Mathew Ngau Jau, Sape' Master and Malaysia's Living National Heritage. The Sape' is a long, two-stringed instrument crafted from hollowed out wood that looks like a small boat, and decorated with delicate motifs. Once used for healing rites and celebrations, its enchanting sounds and lonely strains accompany a dancing warrior or lady. Your local expert is none other than Mathew, a master Sape' player and storyteller. He has performed on many world stages including Europe, the USA and the Rainforest World Music Festival in Kuching, Sarawak. With over 30 years of experience in the art of playing and making the Sape', Mathew hopes to pass this cultural heritage to the next generation. In this class, not only will you learn the technical aspects of playing the instrument, but also understand the history and culture of the Kenyah people, under the guidance of "the Keeper of the Kenyah Ngorek Songs". Meet the Sape' Master, Mathew Ngau Jau and learn about the history of the Sape' and how significant it is to the Kenyah culture. In 2 hours, he will guide you through history, the instrument itself and finally to the basics of playing a Kenyah folk song, then you can jam to your own style.